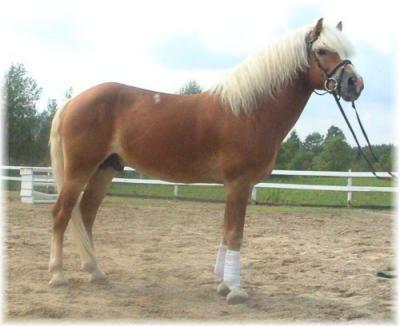 "North America's leading Haflinger farm......."
Call us to arrange a convenient breeding schedule for your mare. Immediate delivery or reserve your firewood for winter 2010/11! Waldeck-U-Lesa farm is a significant producer of corded firewood. Click here are some pictures of our winter logging operations. Waldeck-U-Lesa's spring production of maple syrup is legendary! Our unique elixir of spring - Joseph Kuchar's "Mont Tremblant Maple Syrup"® Starting with the pure sap of the sugar maple tree that begins to "run" in the warm spring days of March we produce a pure Quebec maple syrup that is available in 540ml cans packed in cases of 8 cans. Please email-us with your requirements and for a quotation delivered. We can ship via UPS to most of the world. This is a unique product and makes wonderful gifts to friends and associates.